By Adrienne Rivera. Mar 2, 2018. 9:00 AM. Theodor Seuss Geisel, better known by his pen name Dr. Seuss, was born in Springfield, Massachusetts in 1904. He attended Dartmouth College where he wrote and drew for the Dartmouth Jack-o-Lantern. After he and his friends were caught with gin in the dormitories during prohibition, part of his punishment was being banned from all extracurricular activities. However, he continued to work for the magazine, using for the first time the pen name Seuss. After graduation, Geisel briefly attended Oxford University with the goal of eventually becoming an English professor, but he met his wife, author Helen Palmer, who convinced him to pursue drawing as a career. His first professional cartoon appeared in a 1927 issue of The Saturday Evening Post. He began working as an illustrator for Judge magazine later that year, signing his work as Dr. Seuss. He also provided illustrations to a variety of magazines and advertisements in the following years. His first children's book, And to Think That I Saw It on Mulberry Street, was finally published in 1937 after dozens of rejections. He wrote several prose books before returning to poetry and published consistently in the genre for the rest of his life. He drew political cartons during World War II, taking a stance against Hitler, fascism, and anti-Semitism. He won a Pulitzer Prize for his contribution to literature and received an honorary doctorate from Dartmouth. His work has been adapted into animated films and television programs, live-action films, and plays. He passed away in 1991 after a battle with oral cancer. 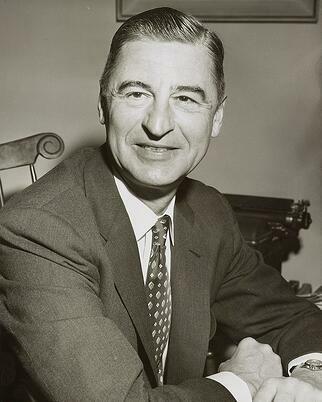 Today, Dr. Seuss remains one of the most popular children's writers of all time. Beloved for their whimsical drawings, fanciful rhymes, and important themes, his books are still in print and are found in libraries and classrooms across the world. The more that you read, the more things you will know. The more that you learn, the more places you'll go. – From I Can Read With My Eyes Shut! How did it get so late so soon? It's night before its afternoon. December is here before its June. My goodness how the time has flewn. How did it get so late so soon? – From “How Did it Get So Late So Soon?" You have brains in your head. You have feet in your shoes. You can steer yourself any direction you choose. You're on your own. And you know what you know. And YOU are the one who'll decide where to go. – From Oh, the Places You'll Go! Today you are You, that is truer than true. There is no one alive who is Youer than You. – From Happy Birthday to You!